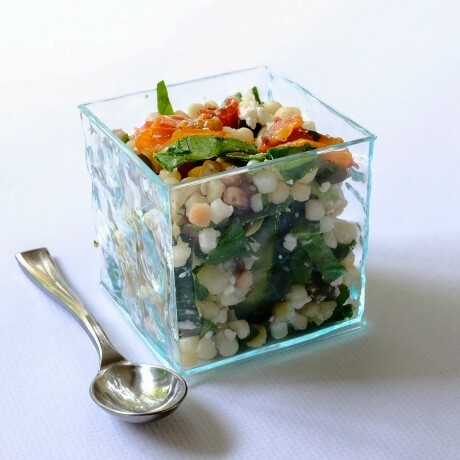 From our 'Entertaining at Home' beautiful premium reusable tableware range designed to help you create stunning food presentation with the ultimate 'wow' factor. Although these dishes look like high quality glass they are in fact made from virtually unbreakable plastic meaning that you can build up a resource of re-usable stunning party tableware at a fraction of the cost. These innovative designs enable you to bring your beautiful food creations to life ... have fun! 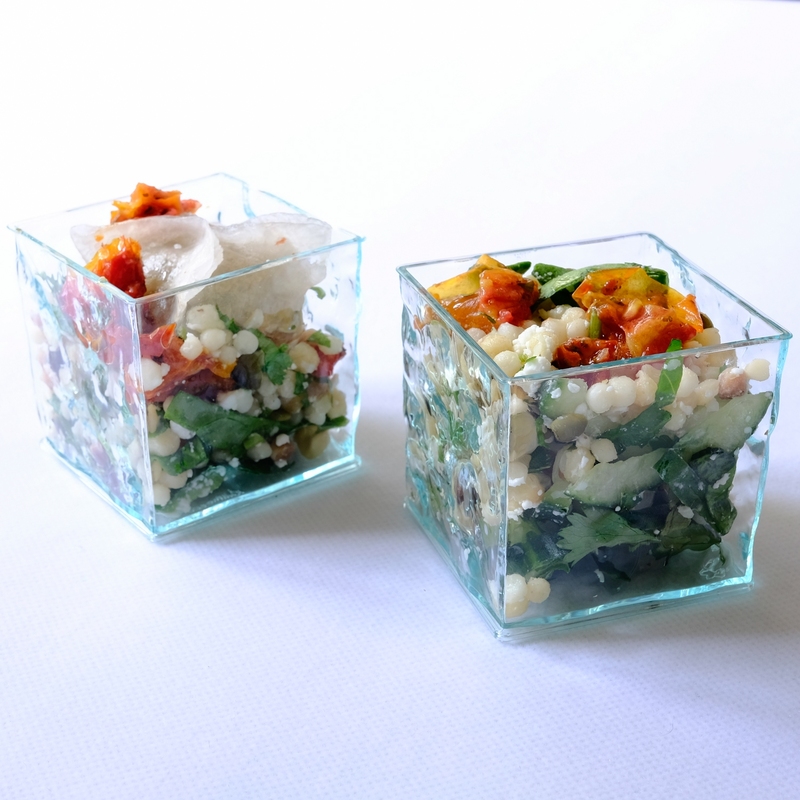 These unique mini square dishes have a rippled glass effect which looks amazing and are perfect for parties and events which just ooze style. Our tasting spoons - sold separately - are a perfect accompaniment. Really great product - arrive on time in good order. Great product, very fresh and arrived promptly at a good price. Great product, very fresh and arrived promptly at a good price. Highly recomended. Inspiring collection of beautiful baking accessories and favours.